Home Education Should You Engrave Your Watch? Should You Engrave Your Watch? Engraving your watch is a cool way to personalize your watch and attach a piece of your personal history to your timepiece. Although it is ultimately a personal decision to engrave or not, we highlighted the most important points of consideration to help you decide if engraving your watch is the right move for you. Confirm your watch can be engraved. Certain watch case backs are not ideal for engraving. Some already have a lot of brand stamps on the back including important serial or registration numbers. These crucial brand signatures will limit the amount of space you have to engrave. Moreover, if your watch’s case back is already crowded with text, you may accidentally obfuscate some important figures. 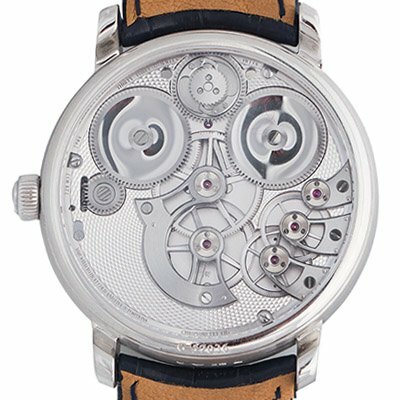 Watches with a clear case back or skeleton watches are specially designed to showcase the mechanical watchmaking inside. Engraving these types of watches may disrupt the aesthetic of the piece: the lettering may be seen through the watch or it may obscure the complicated movements behind the inscription. Finally, watches with a sapphire or glass case back will likely need to be engraved with a laser. Although some watch collectors have no qualms with a machine engraving, others prefer the antique look of a hand engraving. In any of these instances, an alternative is to engrave the side of the case instead of the back. One limitation, however, is that some cases may be too thin to engrave. There are two primary engraving camps: hand engraving and machine engraving. A traditional hand engraving will give the lettering a uniquely stylized and antique-looking flair. The deep cuts of hand engraving chip away at the caseback’s metal which makes it difficult, if not impossible, to wholly remove—a pro or a con depending on your point of view. Machine engraving uses lasers or a diamond tip to mechanically etch in your letters. Machine engraving ensures near-perfect consistent letter spacing. It also gives you more options when it comes to fonts and character count. And the comparatively shallow lines of a machine engraving can usually be polished away and may even wear away in as little as a year. Pick something meaningful to engrave. Having your watch engraved is a commitment (albeit, in some instances a non-binding commitment, more on that later), so carefully select what you want to inscribe. We generally recommend sticking with a timeless inscription that still carries sentimental weight; classic engraving options are monograms, initials and important dates. Coats of arms, family crests, poems, quotes or religious text are also time-honored suggestions. Understand an engraving will impact the resale value of your watch. If you plan to someday sell your watch, reconsider engraving it. Most collectors do not want to purchase an engraved watch and this ultimately brings down the resale value of your timepiece. Others will argue that they enjoy the sentimentality and history imbued in the piece but the majority of collectors will say an un-engraved watch is preferable to an engraved one. 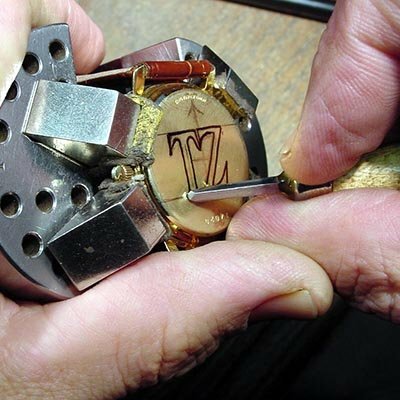 Having an engraving removed can be costly and you risk damaging your watch; buffing away an inscription means the metal of the case back is left slightly thinner. A smart alternative—a way to have your cake and eat it, too—is to find a replacement case back to engrave instead and preserve the pristine original. Or you can engrave a bracelet link which can be removed and is precious than the valuable case back. How Tight Should My Watch Fit?